When animated food trumps the real thing. For years, Hayao Miyazaki’s films have dazzled viewers with their stunning visuals. 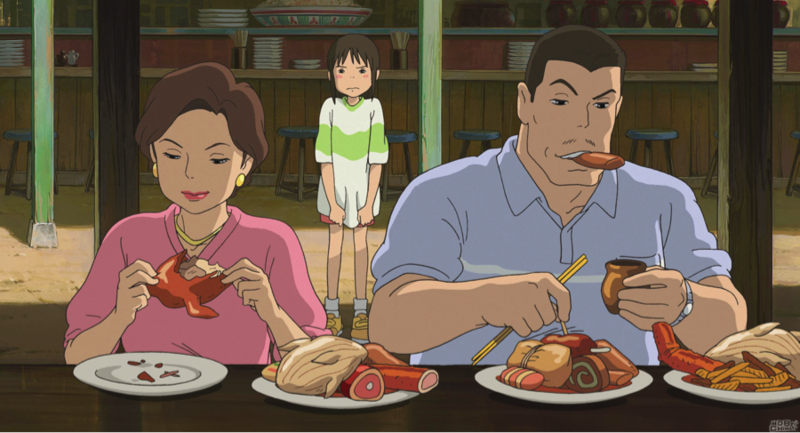 Dreamlike settings and uniquely designed characters are some of the most telltale signs of Miyazaki films, but what’s always captured my eye was the food. 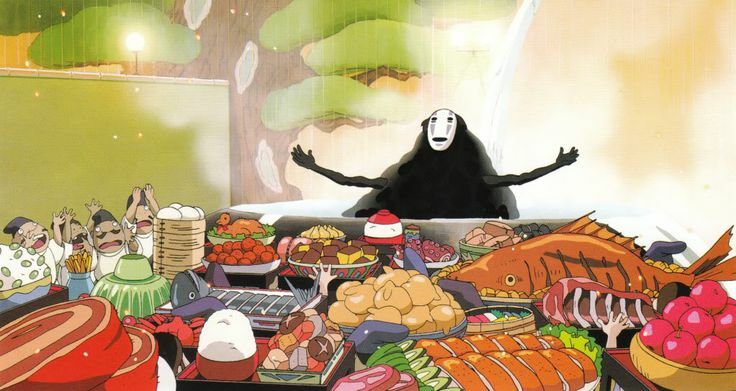 In almost all every one of Miyazaki’s films, a scene revolves around some elaborate spread of food. But because the settings and characters of his movies differ so much, no two scenes are alike. As a result, some of the best meals might look familiar to viewers, while some look delicious but don’t even exist. “Spirited Away” takes place in early 2000s Japan, in a way. Most of the film occurs in a supernatural world, but one that’s still set in a lot of its own traditions. During the beginning of the film, the protagonist Chihiro and her family come across what appears to be an abandoned amusement park. They stumble upon loads of fully cooked appetizing food, but there are no vendors or salesmen manning the booths. In other words, there’s no one to tell Chihiro and her family that they can’t eat it. Chihiro’s parents dig right in rapaciously, and it’s not hard to see why. Some of the foods resemble barbecue, probably pork or chicken by the looks of it. I can’t specifically identify a lot of the food, or even tell if it’s based off something that exists, but I still want to eat it all anyway. What’s even better about the food is that there is an almost unlimited amount, and it all looks equally delicious. In addition to the barbecue, there are bowls of viscous soy-sauce looking dips, hot oil for table-side frying and mustard. Yum. The scene is important in establishing Chihiro’s character, because it shows her apprehension in new situations. She doesn’t want to get into trouble or cause a scene, which ends up being the struggle she has to overcome throughout the film. In that way, the food scene is the perfect medium to show how she and her parents’ reactions differ to new situations. But is either extreme the right way to deal with it? As appetizing as it might look, eating the food of the spirit world (which is what the amusement park food turns out to be) causes you to eat uncontrollably until you transform into a pig. On the other hand, Chihiro decides to not eat anything and it causes her to disappear. “Howl’s Moving Castle” takes place in a war-torn European setting, and is about a young girl named Sofie who has had a cursed placed on her that causes her to look like an old woman. 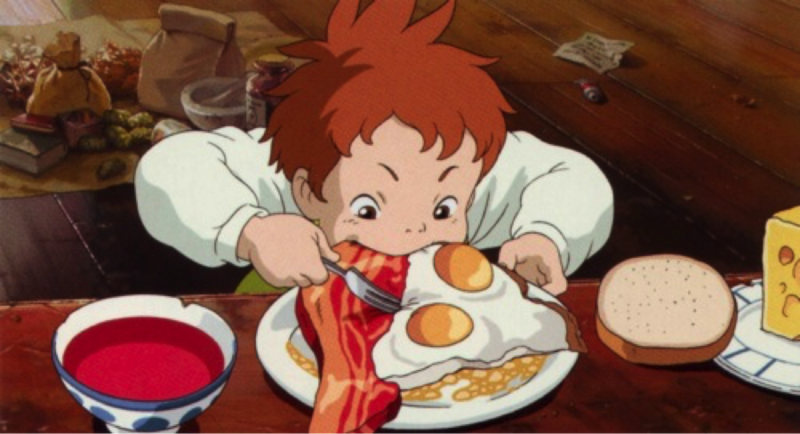 The food scene happens pretty early in the movie, right after Sofie finds Howl’s moving castle. His castle is a wreck and according to Markl (a boy tenant), they can only eat foods that don’t require the fire to cook them, because the fire in the hearth is a demon named Calcifer who refuses to be demeaned by cooking food. Sofie is stubborn and refuses to take Calcifer’s no for an answer. He insists that all of her bacon shall burn until the Great Wizard Howl makes his appearance at breakfast and takes over the cooking. After Howl makes the food, the three of them sit down to discuss what exactly Sofie can do around the castle to earn her stay. Bring on the bacon and eggs. It’s a meal most of us recognize and identify as a hearty, delicious breakfast staple. It’s not exotic per se, but it does evoke a homey feeling, especially if you haven’t had a warm, homemade breakfast in a while. It also pairs pretty well with the breakfast Markl had planned for himself, bread and cheese. It’s a filling, savory, and breakfast classic. Also, check out that thick sliced bacon. This scene is perfect for establishing the household hierarchy of the castle, i.e. who listens to whom. Even better, it shows how Sophie throws a wrench into the bachelor lifestyle by Howl and Markl. Her stubborn behavior turns out to be a positive influence on the boys and the house. “Ponyo” follows the story of a human boy named Sasuke who comes across a small fish (who is actually a daughter of the sea goddess), and their quest to turn Ponyo into a human girl. 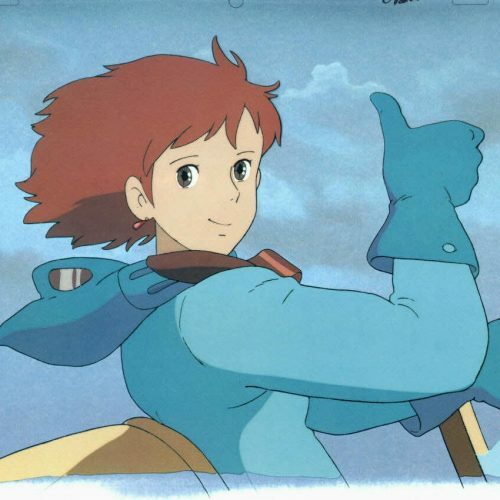 The setting of Ponyo is a modern Japanese seaside town and, as the film progresses, the expansive environment of the sea. There are several meals throughout “Ponyo,” but the best one by far is the power outage dinner scene. The power is going out all around the city because of a hurricane in the area that is caused by Ponyo’s absence from the sea. Because the area is accustomed to violent weather, Sasuke and his mother are prepared for storms. They sit down to have a mysterious honeyed beverage before the big blackout meal. 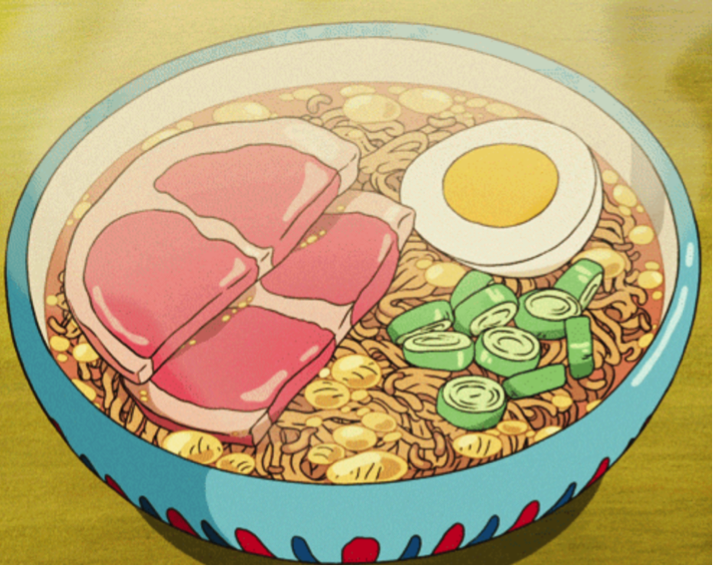 Because of Ponyo’s obsession with ham, Sasuke’s mother prepares them both instant ramen. 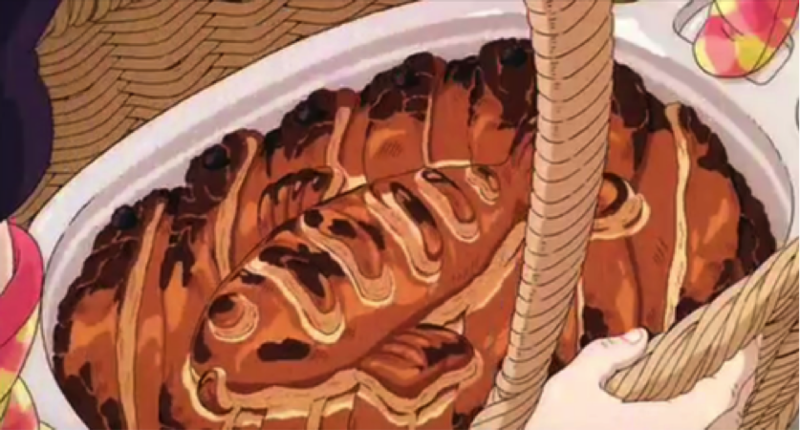 The two children break instant ramen noodles into an earthenware bowl, and then Sasuke’s mom pours hot water over top. She covers the bowl with its lid, the two wait, and when she removes the lid, there’s a delicious bowl of ramen inside. Sasuke’s dad is always away, and they live in a town where extreme weather is common, so quick but satisfying meals are a part of their everyday life. What makes it special is the fact that Sasuke’s mom made it special for him and Ponyo by adding the ham, egg and nori. What a good mom! 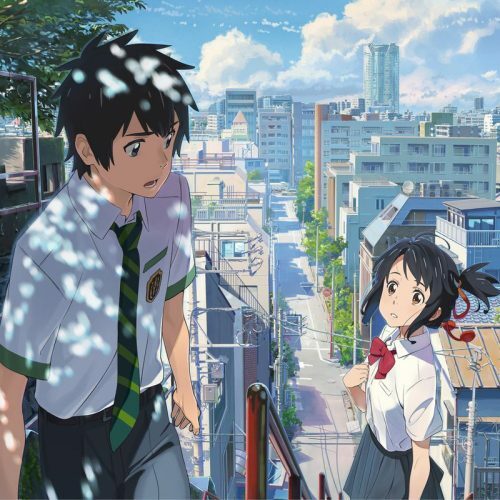 “From Up on Poppy Hill” is set in Yokohama in 1963, which is a very specific time and place considering Miyazaki’s penchant for non-specific settings. The breakfast scene is both the opening for the film and the set-up for its main character, Umi. 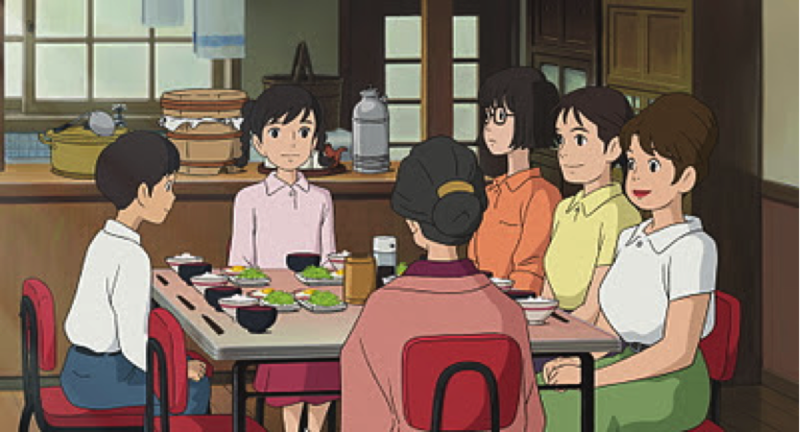 The young protagonist wakes up early every morning to cook breakfast for everyone in the house, which includes her siblings, the house’s residents and her grandmother. The food is a familiar in certain ways, such as the eggs and ham. But the rice and miso soup, though common Japanese breakfast staples, might seem like weird morning-time fare to Americans. The setting and food might be foreign, but the sense that Umi is serving a traditional humble breakfast is universal, which makes it more special to see how gratefully everyone receives it. The entire house sits and waits to eat until given permission from the head of the house. All the while, Umi is working to prepare dinner before she even sits down to eat. Okay, I know what you’re thinking. Herring pie sounds disgusting, but it looks like a chicken pot pie on gravy steroids, which sounds alright to me. “Kiki’s Delivery Service” is set in some ambiguous, western/northeastern European city, somewhere around the 1980s. Kiki is a thirteen-year-old witch who’s set out to improve her best witch skill, which is flying. To do so, she starts a delivery service in a metropolitan seaside town, running odd jobs for people who need it. One of these odd jobs is delivering an herring pie that an old woman has made for her granddaughter’s birthday. Unfortunately for curious viewers, the scene revolving around the pie’s production doesn’t include eating it. Instead, Kiki ends up helping the woman out around her house. It’s a great moment in the film because so much work is put into the pie, but when her granddaughter receives it, she casts it aside. Kiki takes this personally, partially because the injustice reflects Kiki’s job in that she puts a lot of care into it and her customers seldom appreciate what she’s done.